Australia’s 2.2 million small and medium-sized businesses are the lifeblood of our economy but tightening credit conditions are starving them of the working capital they need to operate and grow. Lachlan Heussler, Managing Director of Spotcap, said: “Many small business owners are not aware of the alternative finance options now available to them, such as online business loans that are available within 24 hours and take only minutes to apply for." 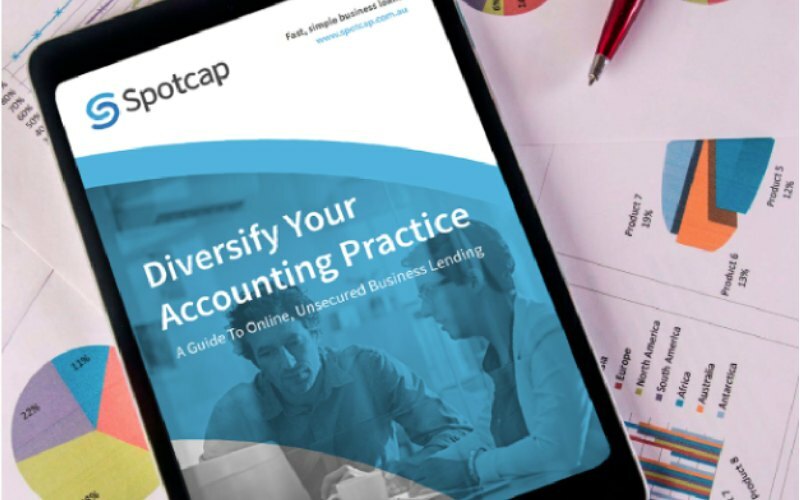 The Diversify Your Accounting Practice eBook was created by online lender Spotcap to address a lack of awareness and knowledge in the industry about the benefits of online loans to small and medium-sized businesses. Why do businesses need a short-term business loan? What information is needed to apply for a short-term loan? How can accountants help their clients identify the right short-term loan?